Recently my partner-in-crime went on an excursion to visit some family in the states. He made his way to Butte, Montana, and came back with my favorite kind of souvenir. The drinkable kind. Butte is an old copper mining town, and at one time had a population over 100,000. Now there are just over 33,700. Headframe Spirits are a local distillery that produces Neversweat, a bourbon whiskey named after an one of the mines. While the mine originally had a reputation for having unusually low temperatures, the name grew ironic as the mines were dug deeper and the temperatures below rose higher. While Neversweat is rich and spicy on the rocks, it makes a damn good old fashioned too. You only get two drinks at the Tasting room. 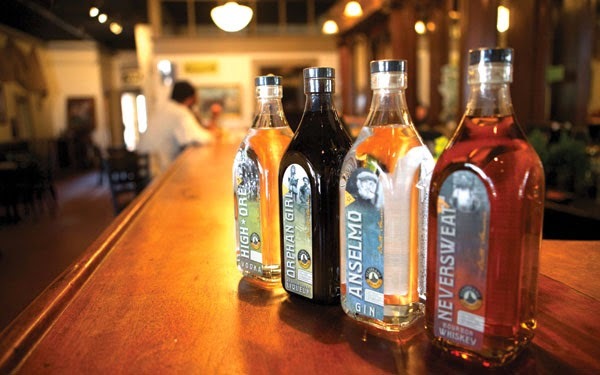 The Headframe distillery also runs something called a “Tasting Room”. Not to be mistaken for a “bar”, “pub”, or “club”, the tasting room is a place to imbibe one or two cocktails – no more. This limit placed on alcohol consumption allows them to operate without a liquor license. It’s a brilliant concept, really. Besides, by the third drink are you really “tasting” what’s in your glass? Not likely. My accomplice also visited a brewery in Missoula, MT. The KettleHouse Brewing Company was the first brewery in Montana to pour beer in their tasting room, and was one of three breweries that lobbied the Montana State Legislature for the legalized on-premise consumption of beer in breweries. They have since become a flourishing microbrewery and a popular neighborhood taproom. 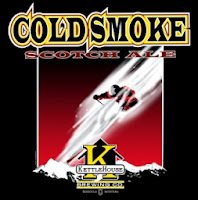 The Cold Smoke Scotch Ale is the most popular brew, and is 2012 bronze medalist of the World Beer Cup. My personal favorite is the Double Haul IPA. Brewed with Montana-grown barley and Northwest grown Cascade hops, this is a full-bodied brew with 65 IBU – a real treat for hop heads. - and of course, soup. Nothing feels better than coming home to a bowl of warm soup. Here’s one for pumpkin-aholics like myself. The seeds add bit of crunch for contrast. Cut the pumpkin open from stem to bottom. Use a spoon to remove the seeds and stringy bits. Place both sides face down on a baking sheet lined with parchment. Cook pumpkin at 300°F for about 1 hour. Remove from oven and let cool. Once pumpkin is cool enough to handle, turn each half over and scoop out the flesh into a large bowl. Using a food processor or immersion blender, puree the pumpkin until a smooth consistency is reached. Transfer pureed pumpkin to a large pot, adding the chicken broth, sage, and brown sugar. Bring to a boil. Stir in beer and cream, reducing heat. Continue to cook for another 30 minutes, or until flavors are blended.